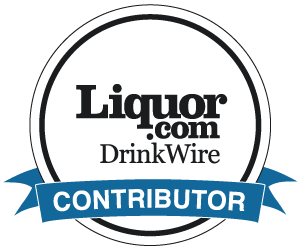 Do this booze blogger a solid and vote here, please! Since moving to Los Angeles from New York City, my relationship to the seasons has become…complicated. I still crave all of the things you would during the colder months – cozy fires inside, hot cider, crunchy leaves underfoot. But because this place is so head trippy with its perfectly warm sunshine-filled days EVERY DAY, you often forget what time of the year it really is. The upside is that I get to indulge in cozy fires outside all year-long, when it’s chilly at night, a casual poncho can still do the trick, and most importantly, sparkling wine can be sipped ALL year round. Well, I suppose it did when I lived on the east coast too. But I just feel like I drink it so much more out here. Valdo Prosecco has easily become one of my go-to bottles of bubbly. It’s priced well, extremely effervescent and dry with a toasty finish. There’s a reason it’s the number one selling Prosecco sold in Italy. It’s classic and tastes much more expensive than it is. When wine importer, Esprit Du Vin announced that they were having a cocktail contest on Instagram called #WhatsInYourValdo, with the winner getting a trip for two to Venice, I couldn’t help but throw my hat in the ring! I’m still getting used to the lack of extreme season changes, but I wanted this drink to be inspired by the slightly cooler months in Los Angeles! While pineapple and tequila feel like vacation, which is very much LA, ginger always makes me think of fall and winter. Topping this mixture with a crisp, dry Prosecco like Valdo keeps the sweetness at bay and makes it extra festive! The contest ends today, but if you haven’t already voted for your favorite booze blogger 😉 here’s your chance! Shake juice, tequila and liqueur over ice until well chilled. Strain into a chilled coupe glass. Top with bubbly!